"Truly All-in-one! Never thought such a great software would be available at such a low cost. It's the Ultimate software for video and my physical discs conversion and it's an intuitive, attractive interface. But all in all, this is the best swiss army knife converter I've used. A reliable company, great product!" -- Reviewed by Brennan Torres. Why Choose EaseFab Video Converter Ultimate? EaseFab Video Converter Ultimate is the most comprehensive video, DVD and Blu-ray conversion application on the market. It allows you to convert a wide variety of formats to almost any output format, and it provides a substantial collection of optimization profiles that tailor your conversion for nearly any device you're likely to own. Besides that, it also allows you to adjust technical aspects of videos, such as codecs, aspect ratios, bit rates, frame rates and more, before you convert your media files. 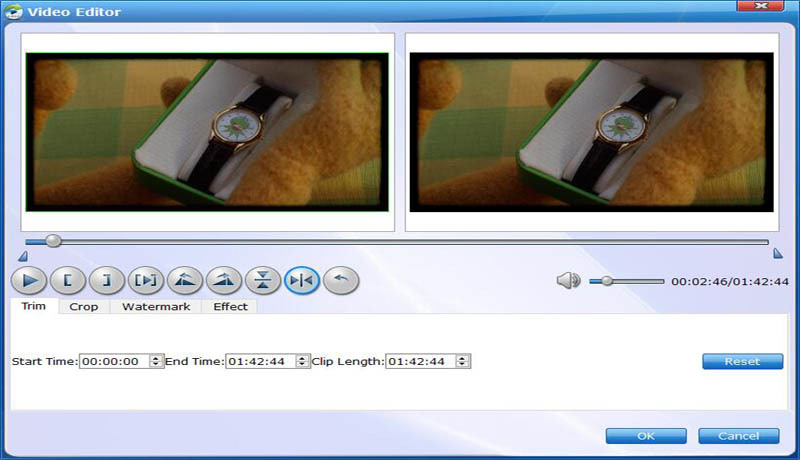 Moreover, it includes a basic video editor you can use to trim away unwanted footage, crop video, add subtitles, watermarks, etc. 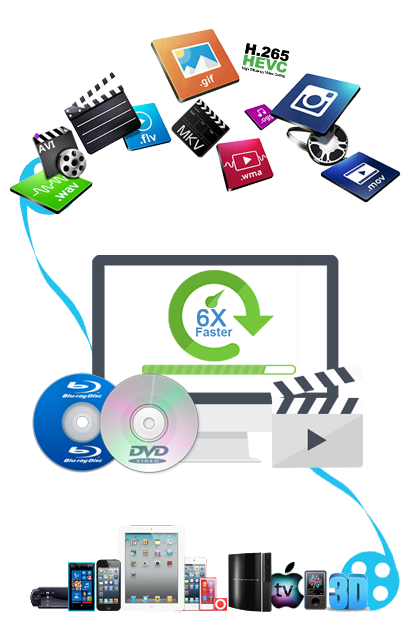 Overall, its fast conversion time, high-quality output and extra features make it the perfect choice for video converter and DVD/Blu-ray backup software. EaseFab Video Converter Ultimate is an intuitive and insanely fast all-in-one video/audio converter, DVD Ripper, Blu-ray Ripper, video editor and player for Windows users. With it, you can effortlessly achieve all your multimedia demands and enjoy your videos, audios, DVDs and Blu-rays anywhere and anytime you like. EaseFab Video Converter Ultimate enables you to convert all the popular and unusual media formats. Support a wide range of output formats, like include MP4, MOV, WMV, MKV, H.265/HEVC, AVI, MPEG, VOB, FLV,, etc. New formats are constantly added making it the most user-friendly video converter on the market. Support some VR devices and 4K video formats like MP4, AVI, MOV, MKV. Want to enjoy videos or movies on different devices? Video Converter Ultimate helps you convert your media files for all kinds of devices, including Apple devices, Android devices, VR, game consoles, etc. Optimized for NVIDIA® CUDA™ technologies, it ensures accelerated video decoding/encoding on a CUDA-enabled graphics card in 6x faster speed. Besides that, the all-in-one application also fully supports lossless conversion for most popular video formats like MOV, MP4, M4V and more. Video and audio synchronization is promised. 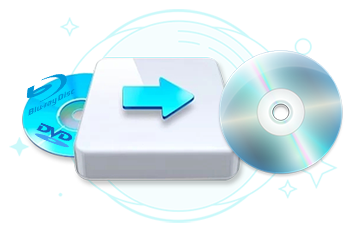 Video Converter Ultimate also functions as a DVD and Blu-ray rip and backup program. It could rip Blu-ray and convert DVD of any type, regardless of disc protection, region restriction, and movie studios. Besides that, the all-in-one ultility can also backup and copy your Blu-ray and DVD discs with super fast speed. You just need to insert the DVD/Blu-ray disc that contains the movie you want and it will do the backup without any quality loss. With it, you can back up your DVD or Blu-ray in Full Disc, Copy Main Movie only, or select your wanted chapter to back up. It offers enough freedom for all DVD/Blu-ray movie lovers to back up and rip your movies. EaseFab Video Converter Ultimate can convert 3D to 3D, 2D to 3D, 3D to 2D video files. It creates 3D MKV, 3D MP4, 3D MOV, 3D WMV and 3D AVI video in a very advanced 3D mode with the largest possibility of 3D option settings including 3D Anaglyph,Top-Bottom or side-by-side. With it, you can watch any 2D/3D video on Samsung Gear VR, HTC Vive, Oculus Rift, PS VR, VR Box and more VR Headsets and 3D TVs. EaseFab Video Converter Ultimate also offers a full set of optimized video tools which will come in handy sometime.